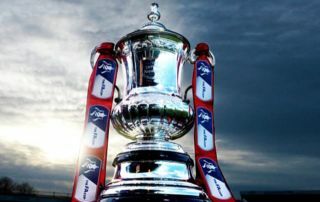 Newport will be looking to cause another upset and continue their historic cup run when they host Middlesbrough in the FA Cup 4th round replay at Rodney Parade, while Portsmouth take on QPR once more (KO 19:45). The FA Cup features some intriguing replays tonight with the fifth round the incentive. Newport will be looking to cause another upset and continue their historic cup run when they host Middlesbrough in the FA Cup 4th round replay at Rodney Parade. The League Two side looked to be heading out of the FA Cup at the Riverside but substitute Matthew Dolan netted a dramatic equaliser with the literally the last kick of the game to earn County a replay and another crack at reaching the 5th round. As for Boro, they’ll be disappointed to have conceded late on. They say the romance of the cup is dead, but try saying that to Tony Pulis, who, to his credit, fielded a strong side where several other managers may have opted for squad rotation with promotion the main goal come the end of the season. The draw, though, obviously didn’t have a negative impact on the squad. One week on they went to the Hawthorns and came from 2-1 down to defeat fellow promotion hopefuls West Brom 2-3 to move level on points with the Baggies. But with Leeds United and Sheffield United both to come in the space of four days it’ll be interesting to see whether Pulis sticks with a stronger eleven or opts to play several fringe players. Newport are winless in their three prior encounters with Boro, losing their only home tie 1-0 and it’s 5/1 for the same scoreline on Tuesday. Games at Rodney Parade have averaged 3 goals per game so far this season and it’s 5/4 for over 2.5 goals. The hosts are 15/4 to pull off another famous cup upset, the draw is 12/5 and Tony Pulis’ Championship side are 20/23 to get the job done in 90 minutes. After a thrilling encounter at Fratton Park QPR and Portsmouth must do it all again at Loftus Road after neither side could find the all important winning goal to reach the 5th round of the FA Cup. The League One side took a deserved lead in the previous game, but Nhaki Wells’ equaliser fifteen minutes from time spared QPR’s blushes. Both sides head into Tuesday’s replay in pretty poor form. QPR lost to struggling Wigan on Saturday, extending their winless run in all competitions to four games, while Portsmouth fell further behind League One leaders Luton following a one all draw against Doncaster. Kenny Jacket’s side have been untouchable on the road in the FA Cup so far, scoring six goals without reply. Pompey are 13/2 to win to nil. Nhaki Wells bagged the equaliser to force the replay and the striker is 9/2 to open the scoring. Pompey’s Ronan Curtis has 10 goals to his name so far this season and he’s 13/4 to score anytime. Six of Portsmouth’s last eight games have produced over 2.5 goals, so there could be a goal fest at Loftus Road. Over 2.5 goals 21/20. The hosts, as you’d expect, are favourites at 20/23, the draw and extra time is available at 5/2, while Portsmouth are 15/4 to knockout another Championship side in 90 minutes.